LED technology and LED systems are very popular mostly in TV Studio and Film production all over the world. 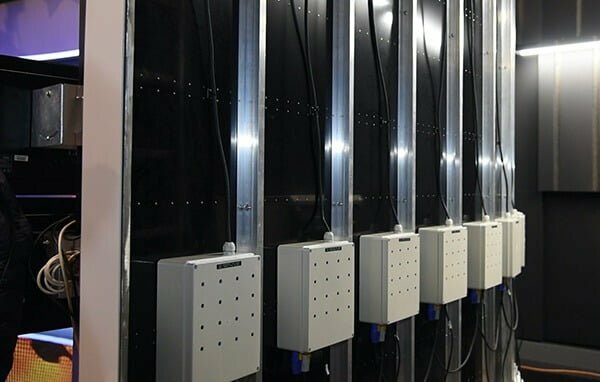 Every year we build 2-3 TV Studios where we use LED technology – LED Controllers (LEC 3, LEC Powered, dimmer) and LED software (Led Strip Studio) which are perfectly suitable for these kinds of production. We believe that we are bringing a completely different way of creating and controlling LED installations and application to LED market (as a proof check our references and projects in the portfolio for last few years). We mentioned just the most important parts of the whole project, but if you would like to know more, please read our blog post about this TV LED installation. We developed it with our partner Ungroup. It’s a very special technology which allows you to display live HDMI stream, animation videos, basically any kind of video content on LEDs. Digital LED Horizon contains P40 LED bars. 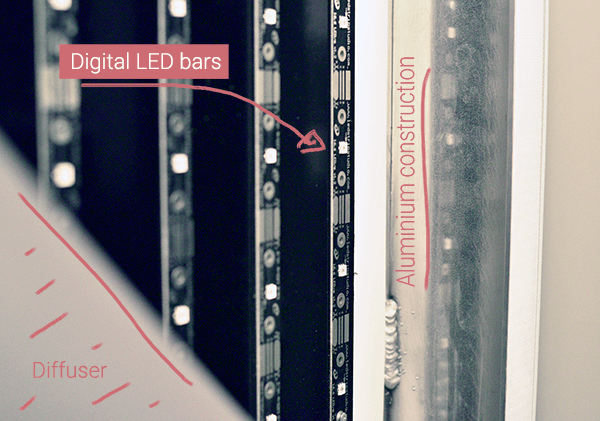 These digital RGB LED Bars are perfect for simple connecting onto construction from aluminum. These constructions have also small weight, so you can easily move it from place to place. 5-10 centimeters before LED bars we put a plastic diffusor, which disturb LEDs to smooth “picture”. We are developers and manufacturers of which we call LED Strip Studio. We are talking about LED software and LED controllers, which can display basically anything on LEDs. This LED installation took us several hours of preparation and hard work during nights, but it was worth it. We are very proud of this TV studio every time when we can see the main news. Gallery and video content, you can find here.